Trevor Hoffmann, a New York City lawyer known for his work on significant domestic and cross-border bankruptcy cases, has joined Goulston & Storrs, an Am Law 200 firm with offices in Boston, New York and Washington D.C. Hoffmann’s national practice includes the representation of debtors, creditors, acquirers and lenders in all phases of restructurings and workouts. He also has a particular focus on representing private equity firms, hedge funds and developers in acquiring distressed companies and assets both in and outside of bankruptcy. 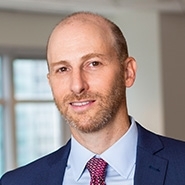 “Trevor is a superb and well-known advocate who provides us with even greater strength in bankruptcy, workouts, restructurings and distressed acquisitions, particularly in the New York market,” said Martin Fantozzi, co-managing director of Goulston & Storrs. Fantozzi also noted that Hoffmann has more than 15 years of experience serving multiple industries, including real estate, technology, financial services, energy, transportation, hospitality and leisure, which are especially relevant to many of the firm’s well-established clients. Goulston & Storrs has over 200 lawyers working in Boston, New York and Washington D.C. The firm provides leading-edge representation in matters involving bankruptcy, corporate, employment, financial services, intellectual property, tax, estate and wealth management issues. The firm also has one of the most diverse and highly acclaimed real estate practices in the country, being top-tier ranked by Chambers for more than 12 straight years. For more information or to facilitate an interview with one of the quoted sources, please contact Liz Cerasuolo at [email protected] or 617.574.0556.